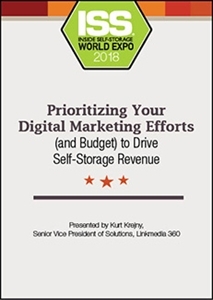 Are you doing everything you can to maximize your self-storage website and digital marketing activities and drive measurable revenue? Between SEO, local listings, pay-per-click advertising, content and reviews, it can be overwhelming to effectively manage and produce better occupancy. If you’re determined to strengthen your foundation, our presenter will share strategic insights to fuel your occupancy marketing plan.